CEDAR RAPIDS, Iowa (AP) — Washington Gov. 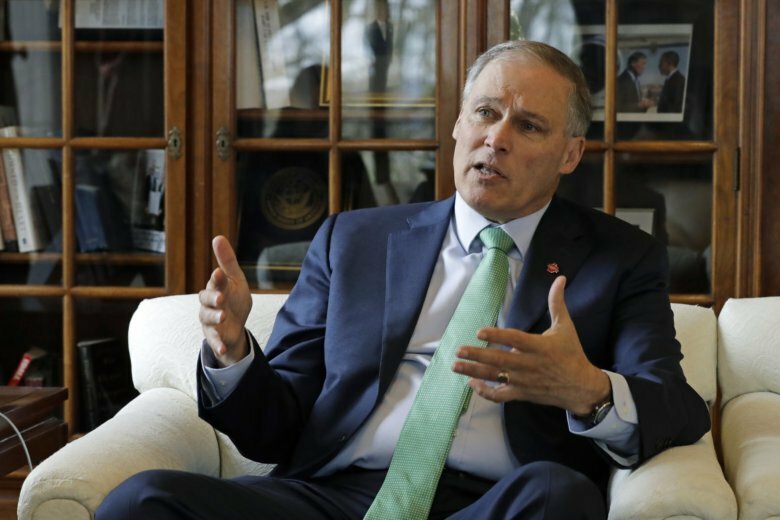 Jay Inslee said Tuesday that he welcomed the support of a super PAC even as many fellow 2020 Democratic presidential candidates have rejected them, voicing concern that they give the wealthy outsized political influence. Super PACs allow a relatively small group of supporters to raise and spend unlimited sums of money so long as they do not coordinate with the candidate whose message they are trying to amplify. The group Act Now on Climate was formed last month specifically to back Inslee’s eventual presidential bid, a detail he glided past at an Iowa campaign stop as he explained why he welcomed them. The remarks come after the liberal group End Citizens United called on Inslee to disavow the group. They also place him at odds with many in the party’s base, who view super political action committees as a symptom of what’s wrong with politics since the Supreme Court’s landmark 2010 Citizens United decision, which allowed unlimited corporate and union spending in federal elections. A host of candidates including Sens. Kirsten Gillibrand of New York and Elizabeth Warren of Massachusetts have urged other Democratic presidential contenders to reject super PACs. New Jersey Sen. Cory Booker is backed by one that was founded by a longtime supporter, but he has said he doesn’t want the support. However, as a little-known governor, Inslee may not have many other options to get his message out in the crowded primary field. So far, the Act Now on Climate group has dropped $250,000 on video and digital production, records show. And they say they’ve spent an additional “seven figures” to pay for cable TV ads that started to run Tuesday in the early voting state of Iowa. It’s unclear how much money Act Now on Climate has raised. Spokeswoman Christy Setzer declined to identify who is funding the effort. The group has some close ties to Inslee. For example, Corey Platt, a key operative for the group, was formerly the political director of the Democratic Governors Association, which Inslee led until recently. That close association rankles some activists.